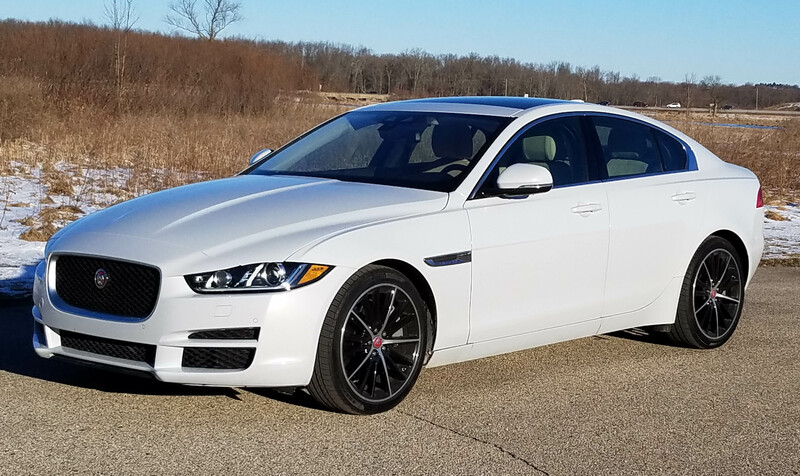 If looks are important to you, styling that will get you noticed or at least be recognized as a non-generic luxury car, then Jaguar’s new entry-level luxury sedan, the XE, should have your name printed on its title. The new small Jag has dashing looks that communicate immediately that it’s a Jaguar. 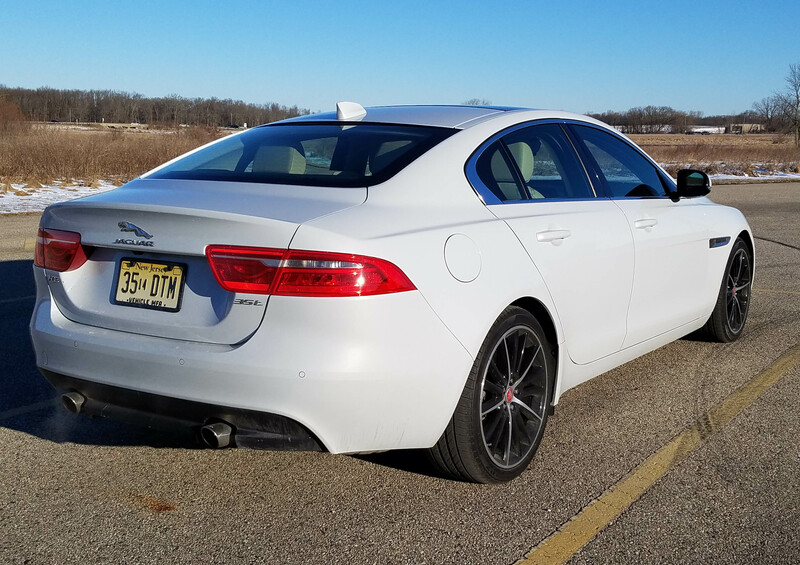 Oh there’s the leaping animal’s silhouette on the trunk lid and steering wheel, but it’s the car’s lean looks, long hood and big chrome grille that tell folks this is a Jaguar. That’s all well and good, plus Jaguar offers nearly as many model choices as do the domestic pickups. The XE comes in 19 models, all the way from a rear-drive 25T model to a 35T First Edition with all-wheel drive. The vast numbers come from all trim levels coming in either rear- or all-wheel-drive and offering three engine choices. The base model in each trim, including Premium, Prestige and R-Sport, is the 25T with a 2.0-liter, I4 turbo generating 240 horsepower and 251 lb.-ft. of torque. A 2.0-liter 4-cylinder turbo diesel also is available. It cranks 180 horsepower but features a tremendous 318 torque rating. The tested supercharged 3.0-liter V6 delivers a healthy 340 horsepower and 332 lb.-ft. of torque. Confused? Well, there also are a couple First Edition models, but we’ll let the dealers explain all that to you. Star Trek groupies may already believe in mind melds, but BMW and Lexus engineers and designers have convinced me it’s a real phenomenon. Their convincing argument is their creation of two like models that if more identical would be sold in the same showroom. 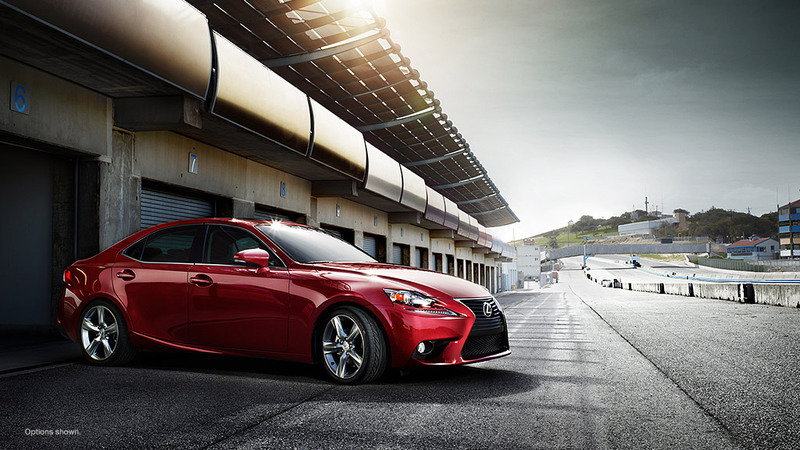 Lexus calls theirs the IS350, while BMW sticks with 335i. It’s no surprise really, BMW’s 3 Series rear-drive sport sedan has for decades been the holy of holies for auto enthusiasts and many magazines that cater to their Bimmer fetish. Lexus got the idea to fight the 3 Series about 10 years back, launching the IS series in 2005 as it looked to induct younger buyers into the Lexus family. Who makes the best compact sport sedan? Well, BMW has owned that segment for years, but it would be hard to argue against Lexus now making the best looking sport sedan with its new IS series. 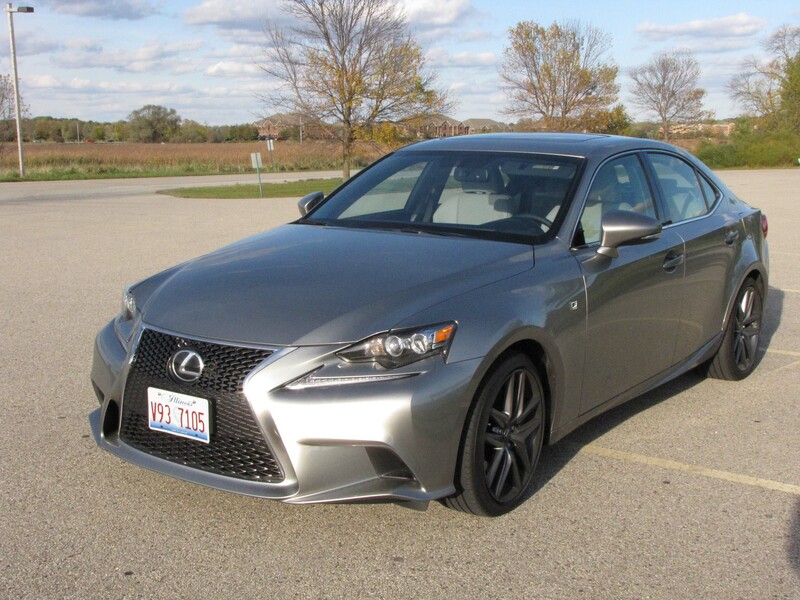 Lexus created the IS to be a BMW 3 Series (now renamed the 4 Series) fighter, but Lexus is better at creating a luxury feel than BMW. 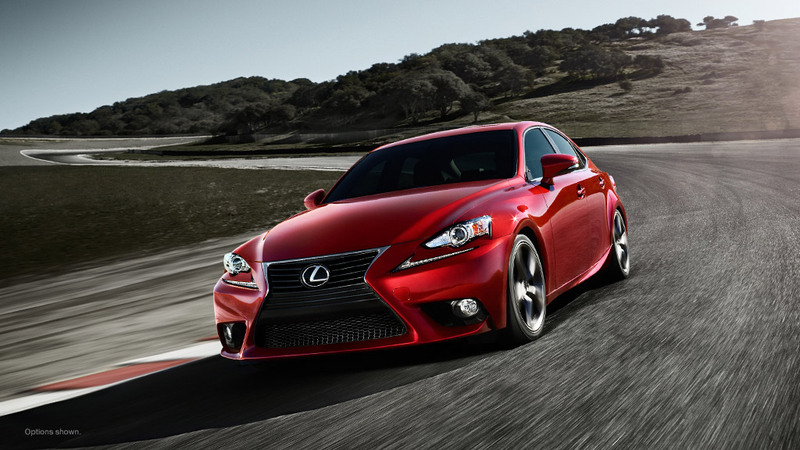 The difference is BMW always leans toward total performance and Lexus leans more toward luxury in any of its makes. Ah, but the tested bright metallic red (Matador Red) IS350 AWD has plenty of power to go with its outward styling pizzazz. Lexus pops a 3.5-liter V6 with variable valve timing under its well sculpted hood and that throbbing engine pumps out 306 horsepower. Boom! It’ll kick you in the seat of the pants and with paddle shifters on the steering wheel you can control your own seat kicking! There’s a seamless shifting 6-speed automatic that you can control manually with those paddle shifters, but a key here is the svelte nature of the IS350. The sport sedan weighs 3,737 lbs., but rides on a 110.2-inch wheelbase. So while it feels nimble, it’s long enough to provide a mostly fine, yet sporty ride. Sure, take it on our crumbling cement streets or over railroad tracks and that stiff sport suspension will give you a little shake. But that’s the nature of the beast. Lexus puts a double wishbone front suspension on the IS and a multi-link system in back.